What I am drinking tonight. 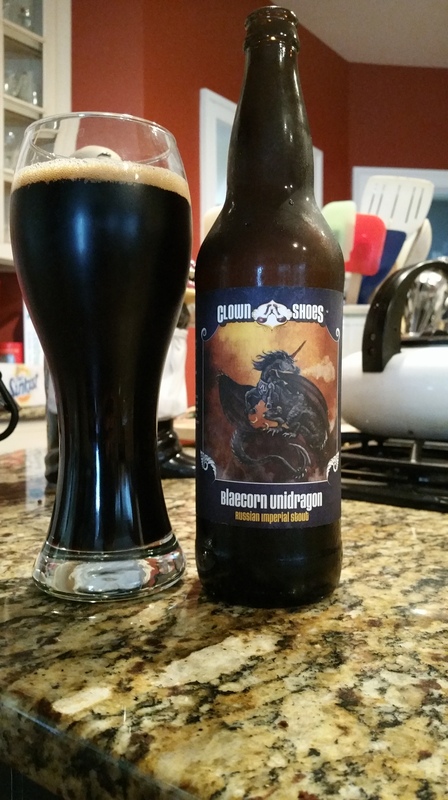 Clown Shoes, Blaecorn Unidragon. a Russian Imperial Stout. Can you say black, this is the darkest beer I think I have ever had. Malty and hoppy. Thick, rich and very enjoyable. Not one to drink every night but for that change for something new this is def one to go with.